"A manager can’t be expected to learn all what a data analyst or a data scientist knows, otherwise he or she becomes one of them. But the manager probably has to work closely with them or even manage them. 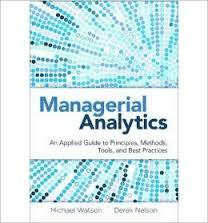 For managers, no matter what industries they come from, who really want to understand what analytics means to management, this is a must-read book."